Sadly, National Iced Tea Month is over. BUT that doesn't mean you should stop drinking iced tea. No way, no how!!! Especially when there is a company called Teavana and they make the most delicious teas I've ever tasted before! Oh my. Seriously. Their flavors have some serious punch and leave you knowing you are drinking a rather tasty beverage. I was sent a rather gracious Iced Tea Collection - with four summer flavors (Dragon Fruit Devotion, Berry Kiwi Coloda, Pineapple Kona Pop, and Wild Orange Blossom), rock sugar, and a tea infuser; a Raspberry Limeade Tea; and a container of Matcha Green Tea Powder to review. I immediately opened up the box and made some of the Raspberry Limeade Tea. It had the perfect amount of sweetness and lime kick. A perfect summer taste if you ask me. If you could smell this...you would be amazed. Oh so sweet. So fresh. The ideal summer refreshment. Seriously. The tea infuser is a pretty awesome tool to have. I haven't ever used one of these before but a quick glance at the directions made it super clear that this tool is going to be a new best friend in the kitchen. 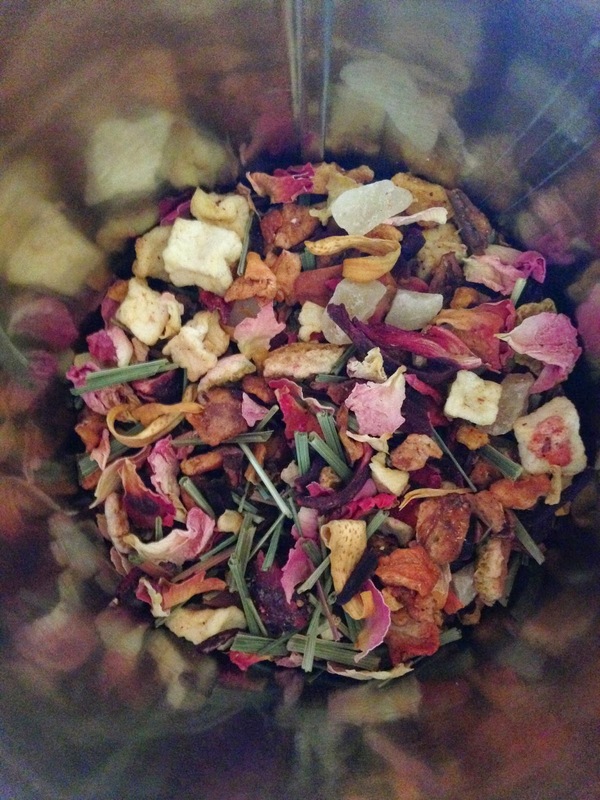 Just add super hot water to your choice of loose leaf Teavana, let it steep for a bit (1 let it set for 15 minutes), then pour over ice and sugar and you have the perfect summer iced tea. 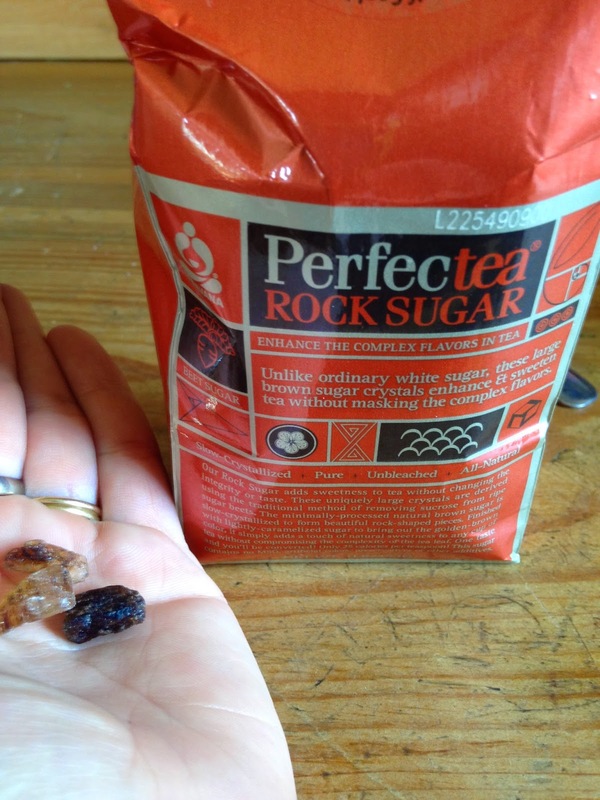 The Perfectea Rock Sugar is simply a grown up version of those rock candies you ate as a child. But even better. Way better. Oh my. I crunched on a couple of these before putting them in my tea and they were quite yummy. The Pineapple Kona blend had an amazing summer smell. I really honestly cannot tell you I preferred a flavor over another. Each one was so different and quite tasty. Above is the Pineapple. Go ahead, brew some Teavana Iced Tea and hang out while your kids splash in the water. Of course you should be watching them too!!! I used the matcha to make an iced matcha. I've never done this before as I've only ever put it in smoothies, but I'm not going back now! Remember, you only need a small amount of matcha. Here's a great video from Teavana showing you how to make iced matcha! Iced Tea isn't just for drinking. 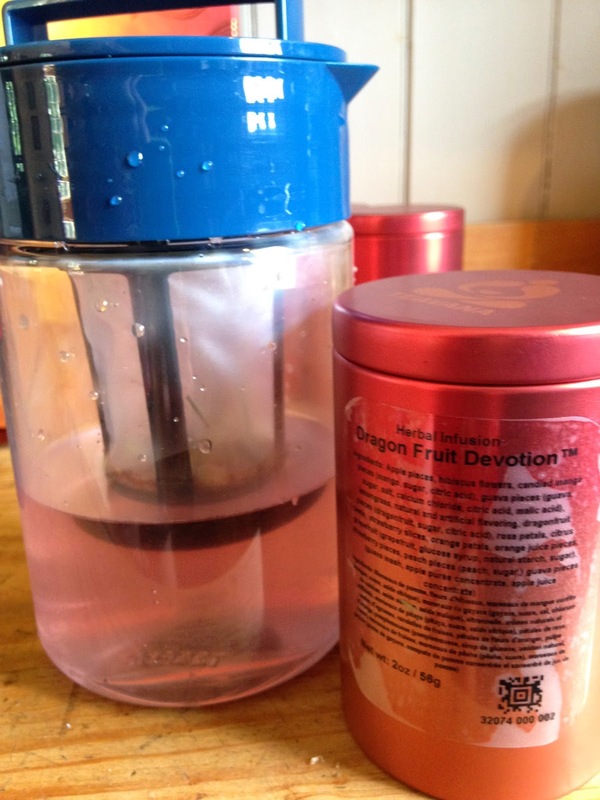 The folks at Teavana sent me two delicious recipes to try. While I haven't made them yet...I'm definitely going to try them out. And you should too!!! Preheat oven to 325 degrees. 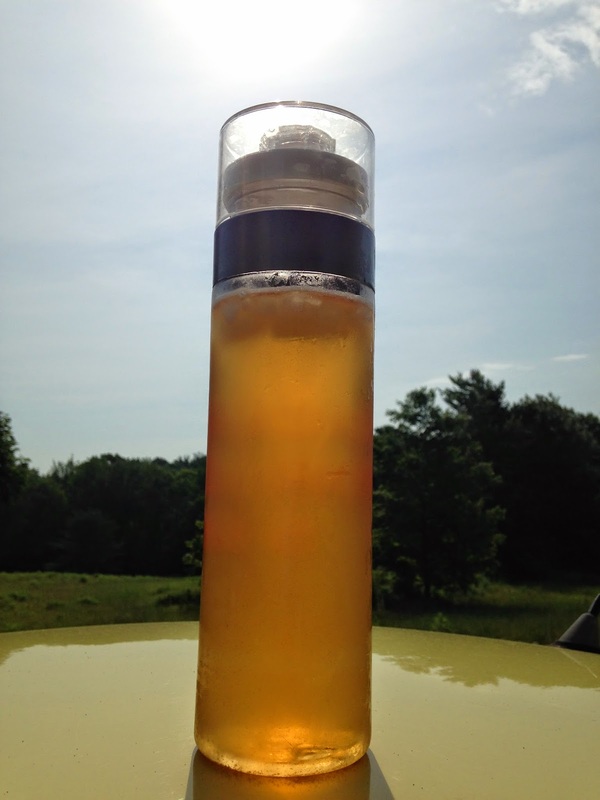 Brew 4 tsp Limeade Twist tea in 1 cup 208 degree water; strain and cool to room temperature. Mix egg and sweetened condensed mile, add in 1/4 cup tea and 1/4 cup lime juice until just mixed. Pour into pie crust and bake until just set, but still slightly wobbly about 15 minutes. Refrigerate for at least 3 hours. Top with whipped cream and lime slices. Okay...so this is going to be made Friday so I can devour it after my 15 mile run Saturday! Sounds like a plan. While iced tea is super exciting....I have even more exciting news for you. 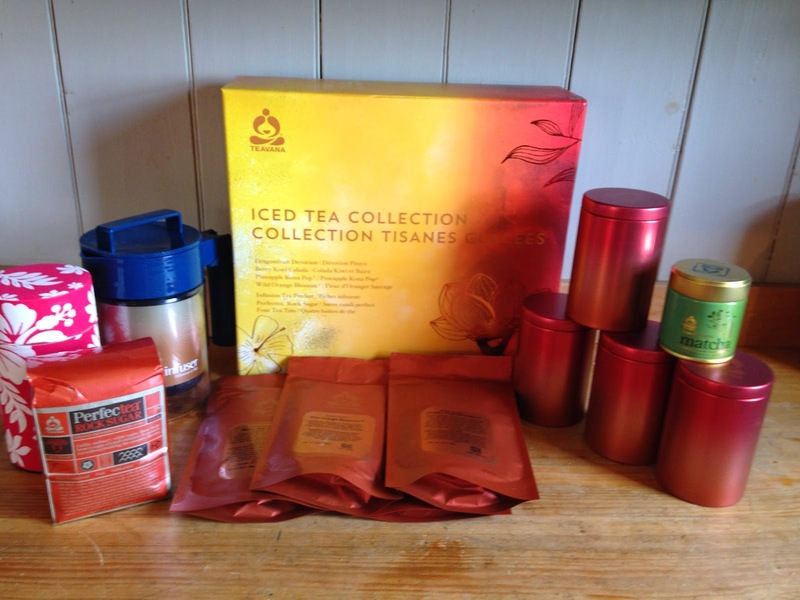 Teavana sent me another Iced Tea Collection and a canister of Raspberry Limeade Tea to giveaway to one of my readers!!! How about that? Enter below through the rafflecopter. The giveaway will begin tonight 7/8/14 and will end 7/16/14. I will email the winner. The winner will have 24 hours to respond or another winner will be selected. Giveaway open to US residents. Disclosure. I am proud to work in partnership with Teavana. I was not compensated for this post and was not required to give a positive review. As always, all opinions expressed on my blog are 100% my own. I come from a place called Atlanta, where every month is ice tea month! 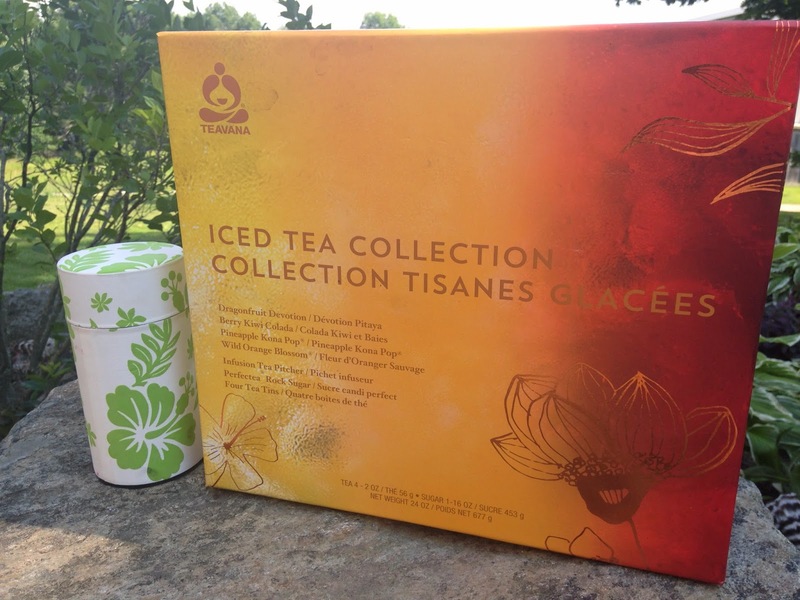 I have always wanted to try Teavana, I really would love to win! Raspberry Limeade sounds so delicious. It is making my mouth water just thinking about it! I love vanilla tea! It's different than the usual black, chai, or green tea I usually drink. I love chai tea. Hold or cold. What's that book? Any good? The pineapple flavor was pretty delicious!!! Great giveaway! I love raspberry tea! Love iced tea in the summer time. I like plain, sweet and sometimes a little raspberry or lemon. Always open to try another. I have a red raspberry leaf and peppermint blend that I drink almost every day. mango iced tea :D yummy! I like Arnold Palmer's best. Mostly iced tea, splash of lemonade. Oh man I want to win this so badly! I drink Teavana tea nightly before bed. I mix the pineapple pop with a berry blend. It's so good! Oh, man, I just love tea! And Teavana has the best teas! I'd say Raspberry Limeade sounds good, but the Pineapple Kona Pop sounds the best! I love a good mint steeped iced tea.